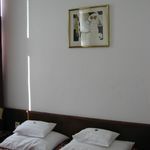 Welcome to the Home Page of HOTEL PANNONIA ! 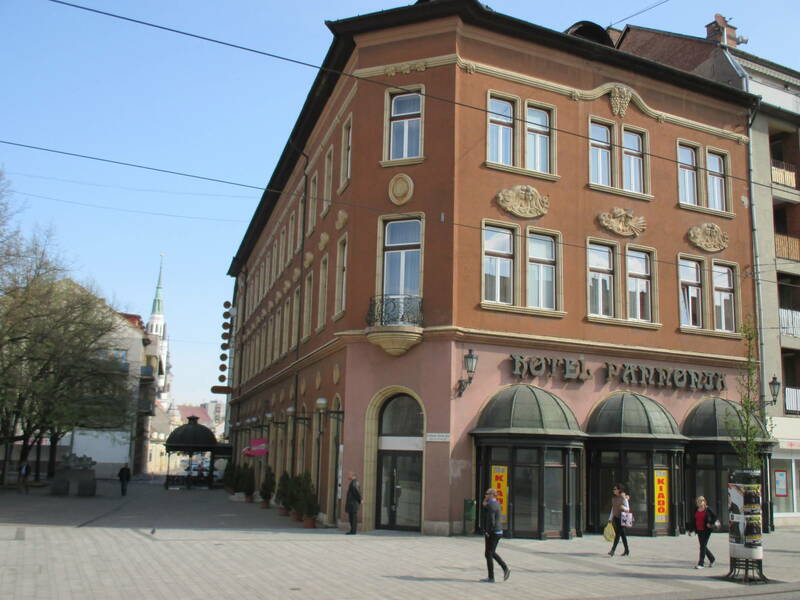 If You are longing for some entertainment, then You - being Our Guest - will surely enjoy our warm hospitality and a friendly welcome, in Hotel Pannonia, in the one and only three-star Hotel of the historical downtown of Miskolc. 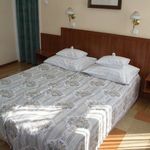 Our Hotel focuses on satisfying our Guests' needs (tourists or business people, as well), with offering air-conditioned, nicely furnished rooms and elegant suites with American-style kitchen. There are 34 rooms in the Hotel, while there are 7 suites in a separated building of the Hotel.Some of our rooms look out onto the pedestrian precinct; the main sights, places of interest of the city are within an easy reach of some minutes' walk from the Hotel. Our Hotel preserved its redolent character of age, however, we are also very proud of the fact, that our Hotel is capable of satisfying the high level demands of the recent day expectations (conference rooms, sauna, basement car-park, wifi). 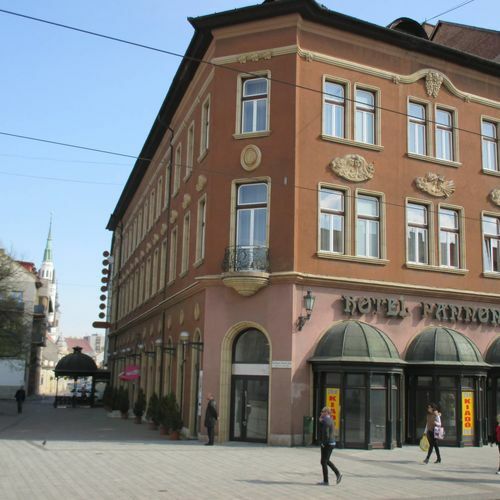 If You would wish to spend Your time in the downtown of Miskolc, within comfortable and peaceful circumstances, staying in an intimate environment, then we would recommend that You should come and visit us at Hotel Pannonia, because here, in Miskolc, You may find programmes, events of immense style, throughout the whole year, in every season. We request the pleasure of welcoming You at our Hotel as our Guest! 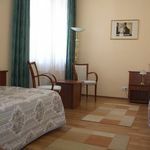 The rating of Hotel Pannonia Miskolc is 9.1 from the maximum 10, 138 based on actual and valid guest ratings and reviews. "A reggeli nem éri meg az árát. Ha lehetne reggeli nélkül foglalni jobb lenne. Abból az összegből máshol jobbat lehetne enni. A kávé instant kávé volt. Pékáru lehetne barna / rozsos vagy bármi csak nem az a remek vizes zsömle. A narancslé ugyancsak valami olcsó cukrozott de jó savanyú lé volt. A felvágott első nap meg szerintem avas volt. Az evőeszközkészletre is ráférne egy csere szerintem. Alkalmanként nincs melegvíz. Egy hajszaritó már kevésbé nívósabb helyeken is van. Ez meg 3 csillag. Ez nem a szállás hibája de a szoba nagyon meleg és zajos este és reggel és nappal is." "A személyzet kedves és segítőkész. Az étkező jól nézett ki." "Egyféle franciaágyas szobát tudtam választani és itt is a franciaágy szélessége 140 cm volt. Egy normál párnak szerintem ez elég szűkös."